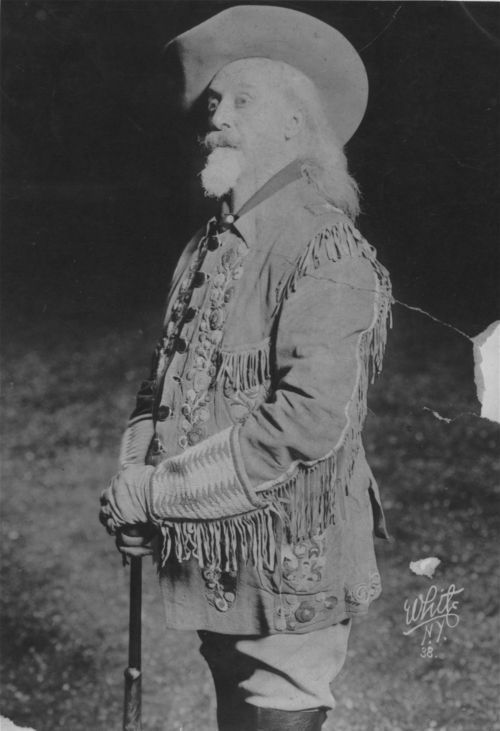 William Frederick "Buffalo Bill" Cody, a soldier, buffalo hunter, and entertainer. During the civil war, he served as a Union scout in campaigns against the Kiowa and Comanche and was a member of the 7th Kansas Cavalry. He earned the name "Buffalo Bill" for supplying buffalo meat to construction crews of the Kansas Pacific Railroad. His skills of bravery and accurate marksmanship entertained audiences in the Wild West show.